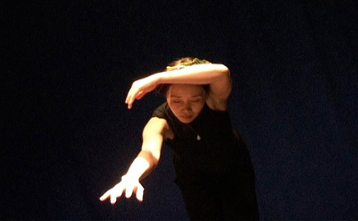 This multimedia performance and technology lab is designed to explore the multimedia communications and expressions in contemporary dance and choreography. It is arranged for participants from the Beijing Dance Academy and other interested practitioners and theorists; special emphasis will be given to the exploration of new practices that challenge the relations between cultural and formal expressions, deeply embedded techniques and unstable or emergent technologiesResearch in the studio examines new digital processes of performance composition with digital video/audio, live interactive systems, live processing and remixing, and the use of digital projections in performance. This Workshop focuses on experimentation that seeks to explore new spatial-temporal relations and possibilities for dance and dancing with camera/film technologies and real time processing software, aiming at new dimensions of visual, sensory or kinetic experience in dance. The lab also explores various aspects of the cultural relations and assumptions that "control" techniques, methods of choreography and mediation, and perceptional and cognitive processes. The lab is rehearsal and production-oriented, but also includes space for discussion and reflection. A public rehearsal-performance, screening or installation/ exhibition of the materials that have been developed by the participants will conclude the process. The public is invited. For more information on dance technology and performance technology workshops offered by AlienNation, click here.